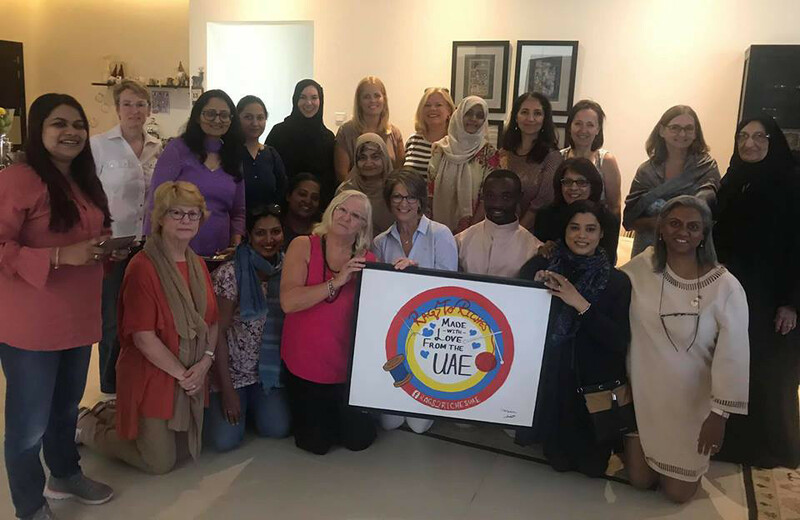 Abu Dhabi: In the true spirit of community activism, a group of women living in the UAE have devoted their free time and talents towards helping children living in orphanages and refugee camps through the simple act of knitting and sewing, with all of the clothes they make donated to the children. Founded five years ago, the community group — Rags to Riches UAE — has 140 active female members with 5,000 followers on social media. Meeting every week, the women sew, knit and quilt fabrics into clothes such as shirts, shorts, hoodies, tracksuit bottoms and dresses. “We’re just a group of women who have a hobby for sewing, knitting and quilting, and so we’ve all come together and decided to put those efforts towards a good cause,” said one of the group’s organisers Ceri Rocca, from the UK. “All of this activity is done in our spare time, we don’t ask for any money as we’re not a charity, we just make the clothes and collect them together and then send them off to orphanages or refugee camps,” she added. Rocca explained that the group receives monthly requests for clothes from international humanitarian organisations such as Bring Hope, keeping them busy with their volunteerism. “We have a good relationship with them and they usually send us one or two requests a month so it is pretty regular. Once we get the request we all get to work to meet our deadline, and when our task is completed we let them know and we send over our boxes of clothes. 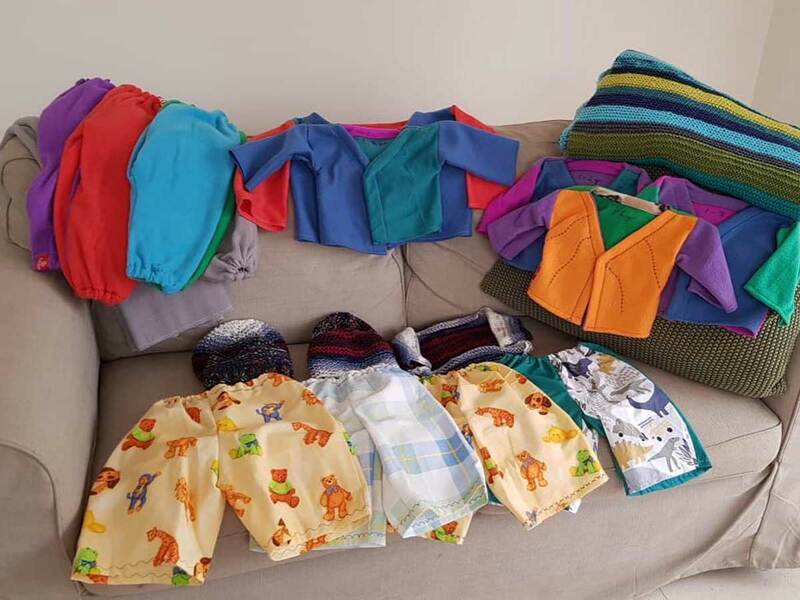 “We have a standard summer and winter range of clothing items we make to suit the needs of the children for those seasons. For the girls, we make them dresses, skirts and tops. And for the boys, the range of clothes we create are shorts and shirts,” she added. 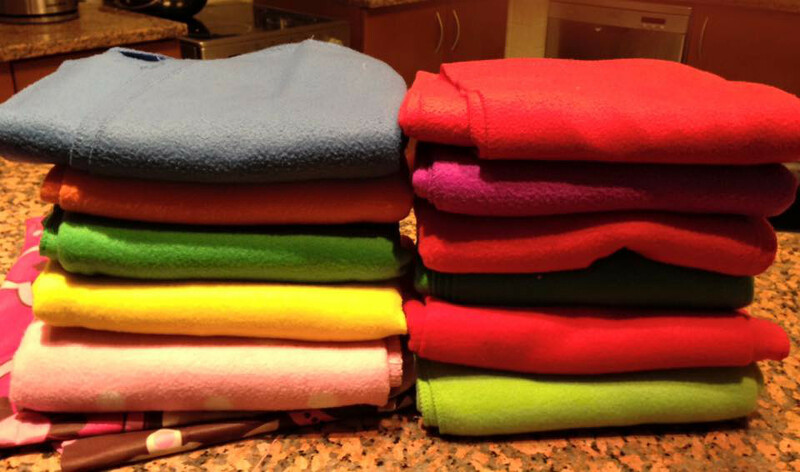 “It’s a great feeling afterwards when you have finished making the clothes and have sent them off. We live in a very privileged society here in the UAE and so it’s always important to remember those who are living in difficult conditions, and to do what we can to help them out,” she said. Rocca said the group has also received requests from orphanages as well as schools who have learnt about them and their cause. “We recently got contacted by a parent who set up a small school in Nepal, the children at the school are not orphans but they live in a very poor region and so we have been making clothes for them as well. “There was also another request we got from an organisation in Sri Lanka that works with young adults of determination, and so this was also something different for us, but we were more than happy to help,” she added. Fahmida Seitz, who hails from South Africa, said she joined the group as a member over a year ago as she wanted to give back to the community. “I’ve worked in a corporate environment for all my life and I’ve never done something that has been so rewarding as this. When I joined the group I was looking to do something valuable and to give back to society, I really liked that the group was helping children and so that really motivated me. “When the clothes gets delivered to an orphanage and we see the pictures of the smiling children there’s nothing that compares to that feeling. You really do feel like you have made a difference in a positive way,” she added. Seitz also spoke positively on the collective spirit of all the women involved in the group, highlighting how they come from different backgrounds. “It’s really amazing to see because this is a very community-based group, our members are so diverse and come from all walks of life, nationalities, cultures and religions. “A lot of good friendships and bonds have been formed through this group thanks to our meetups,” she added. Latifa Ghezala, an Algerian member of the group also spoke glowingly about the shared unity between women in the group. “We’re all achieving this together, the unity is really amazing, we all work together and help each other if needed. All of us want the same thing, which is to help other people. “It makes me the happiest person on Earth to help these young children. When you make something yourself after hours of knitting and sewing, there is a special feeling behind that as you know a young child is going to be wearing those clothing items to stay warm during the cold winter months,” she added, feeling pride in her activism. “I encourage everyone to do what they can, even if they don’t join the group and make the clothes themselves, they can give us the items and materials they don’t need and we can put them to very good use,” she said, highlighting how everyone can play their role in giving back.